Over in our Facebook group (where we now have over 457,000 members 😱 it keeps going up each week!) 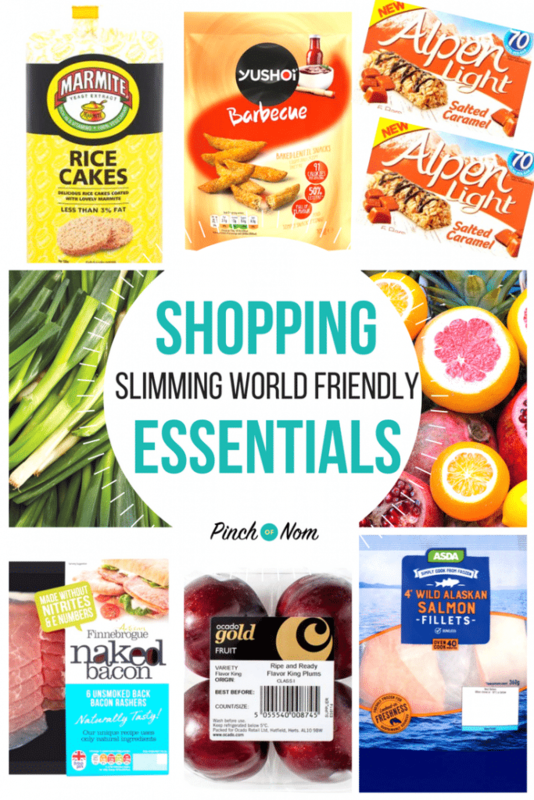 one of the hot topics of each week is spotting new products that are Slimming World friendly! Welcome to this week’s Shopping Essentials list! 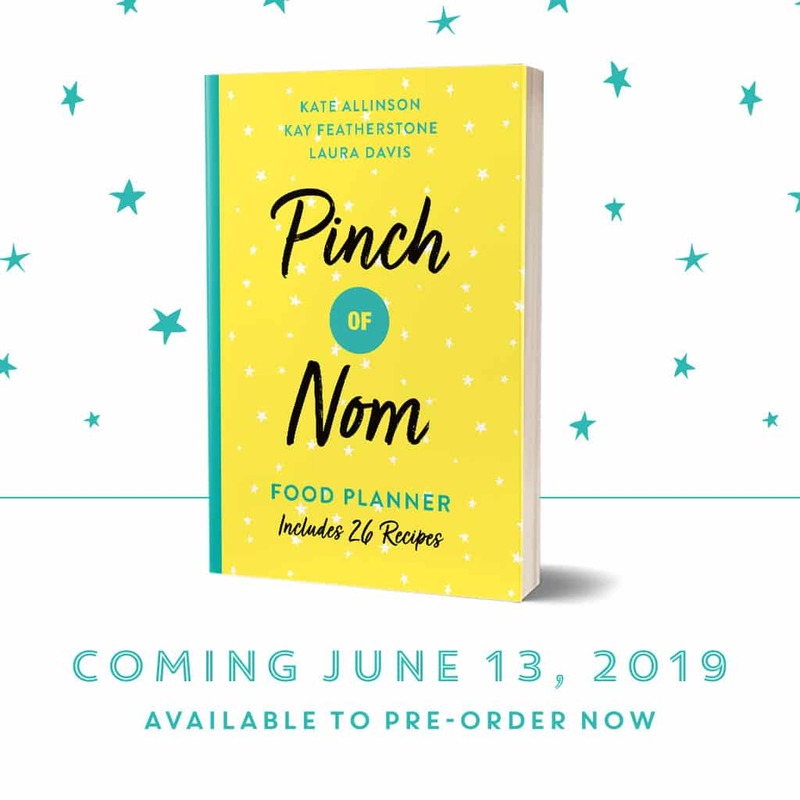 It’s been another amazingly busy week at Pinch of Nom, with thousands more new members joining the Facebook group. 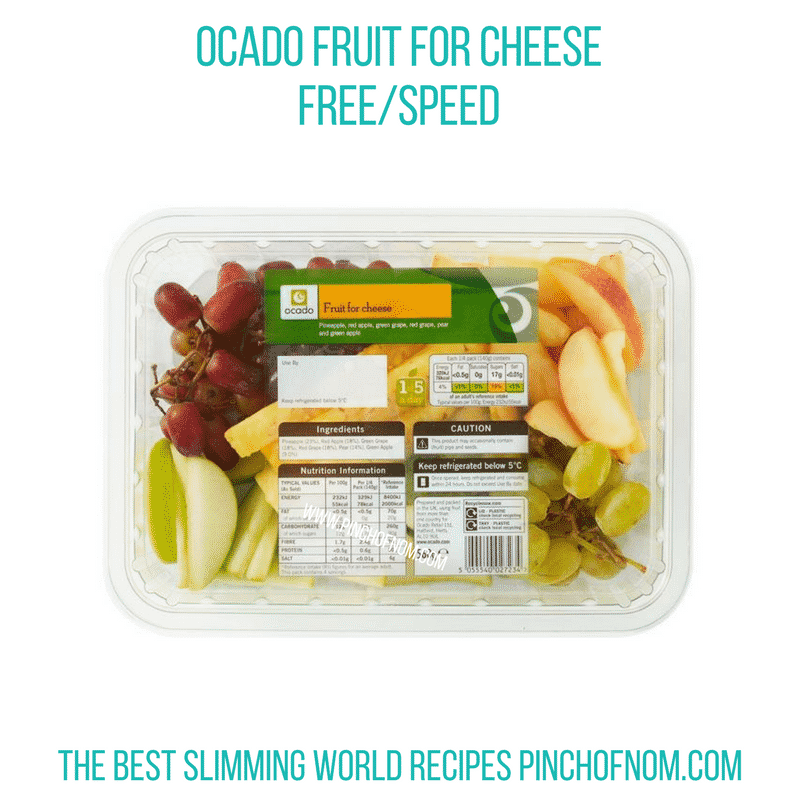 We try to bring you a range of Speed foods, Free foods and other goodies to keep you on track with your Slimming World journey, whether you’re a newbie, or a target member! 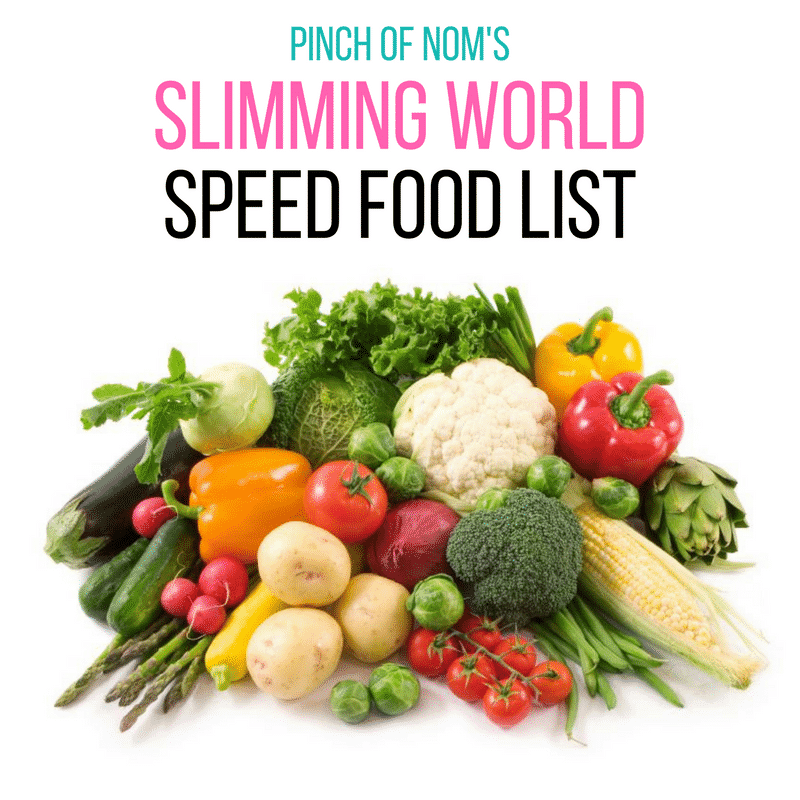 Speed foods are a vital part of the Slimming World plan. Ensuring that you have at least 1/3 Speed food on your plate for each meal, where possible, is the key to success. If you’re not sure which fruits and vegetables are speed, check them out here! The Flavor King plum is known as a Pluot, a unique plum-apricot hybrid. It has a remarkable, spicy bouquet and a sweet flavour with a hint of bubble-gum. The fruit has a reddish-purple skin and sweet, juicy, red flesh. It’s sweet flavour is a big favourite for satisfying a sweet tooth, so keep your eye out for the Flavor King and catch it while you can as they are only around for a short season. 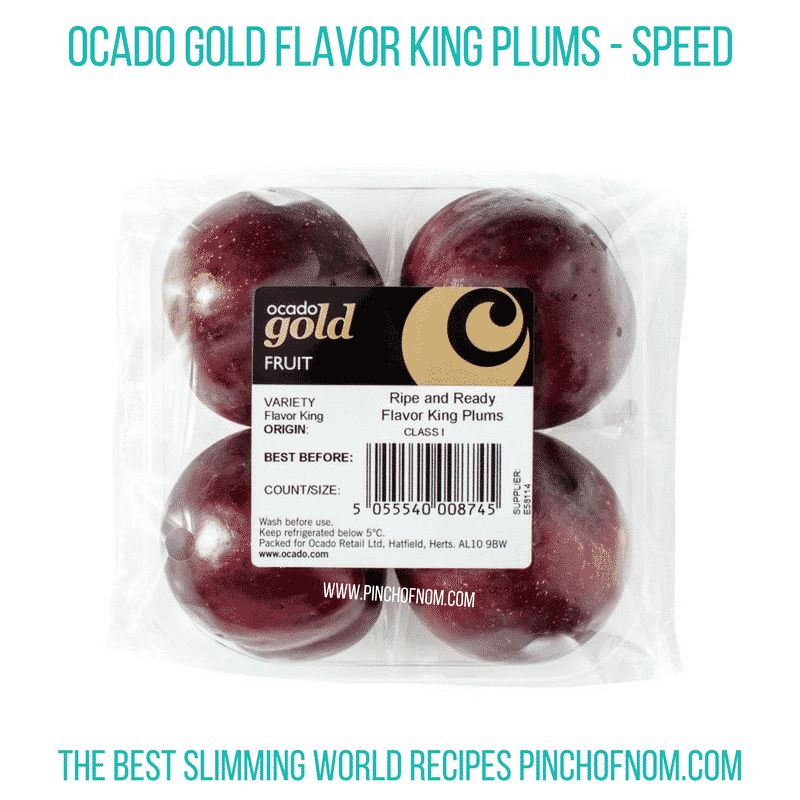 The great news is that plums are a Speed food, so they’re fab for a delicious treat if you fancy something sweet after dinner. These are available from Ocado, priced at £3.99 per pack. Pricey, but worth it according to the reviews on the Ocado website. The Bergamot fruit is a citrus fruit, belonging to the same family as oranges, grapefruits, lemons and limes. They’re not brilliant yellow like regular lemons, but a sort of orangey colour, and when cut open, they’re quite juicy and the flavour is sweeter than regular lemons. 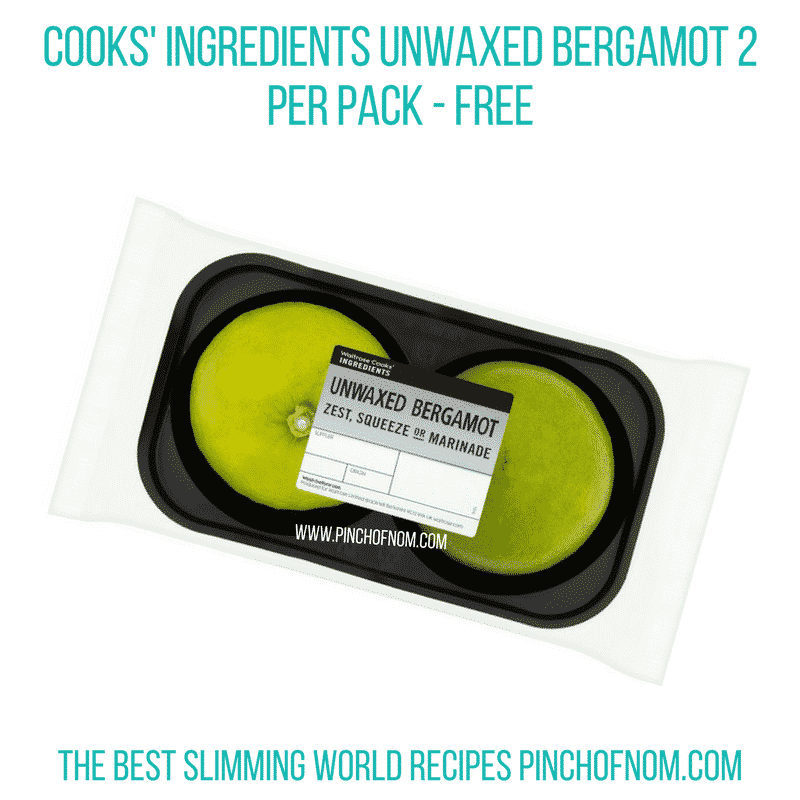 Bergamot is also an essential oil, used to give Earl Grey tea it’s distinctive taste and smell. 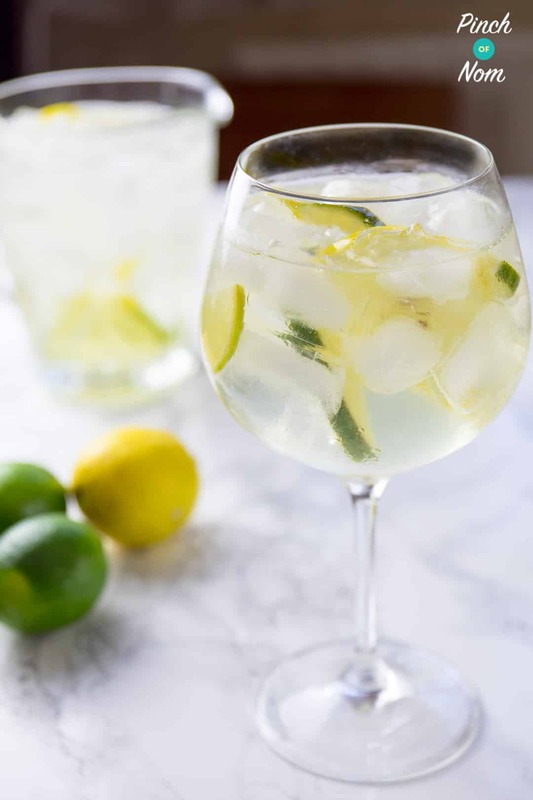 Whilst these aren’t really suitable for peeling and eating like an orange, they would be perfect in our 4 Syn Elderflower Gin Fizz Cocktail! You can pick these up from Ocado, priced at £1.99 per pack. I love grapefruit, especially pink grapefruit! I have been known to peel one like an orange and devour it a segment at a time! Peeling and segmenting clementines, satsumas and oranges is a great way to keep your hands busy when you get an attack of the nibbles in the evening! This beautiful pink grapefruit is delicious – much sweeter than other varieties, fresh tasting and extremely juicy. Its segments are extremely easy to cut out and enjoy, and hold together perfectly. This variety comes from Florida, where most of the best grapefruits are grown. Grapefruit is another Speed food, so perfect for Slimming World. Admittedly, this particular variety is expensive, but if you love grapefruit it’s worth a try! 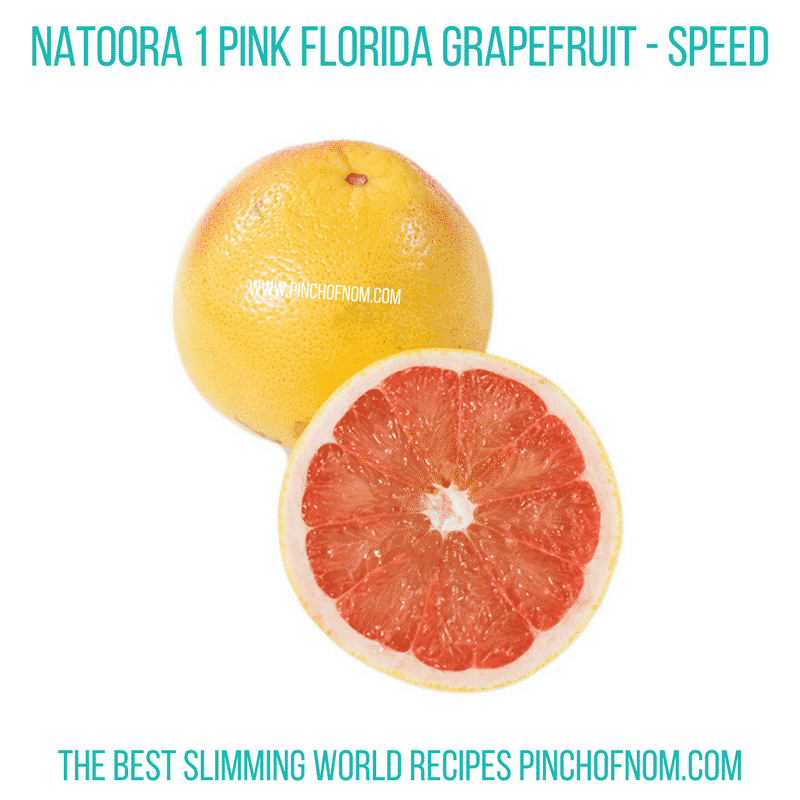 This Natoora 1 Pink Florida grapefruit costs £2.49 from Ocado. I don’t know about you, but my fruit and vegetable consumption has increased dramatically since I started Slimming World. I’ll often find I’ve had Ten of my Five-a-day without even thinking about it! Choosing a piece of fruit over a Syn-filled bag of crisps has become a habit now, which helps you to stay on plan. This tempting platter of prepared fruits is a great idea, although it obviously doesn’t have to be eaten with cheese! Having said that, if you’re able to save your Healthy Extras, you could enjoy cheese for your HEA and even some crackers for an HEB choice. What a feast! This platter contains chopped and prepared Pineapple, Red Apple, Green Grapes, Red Grapes, Pear and Green Apple. 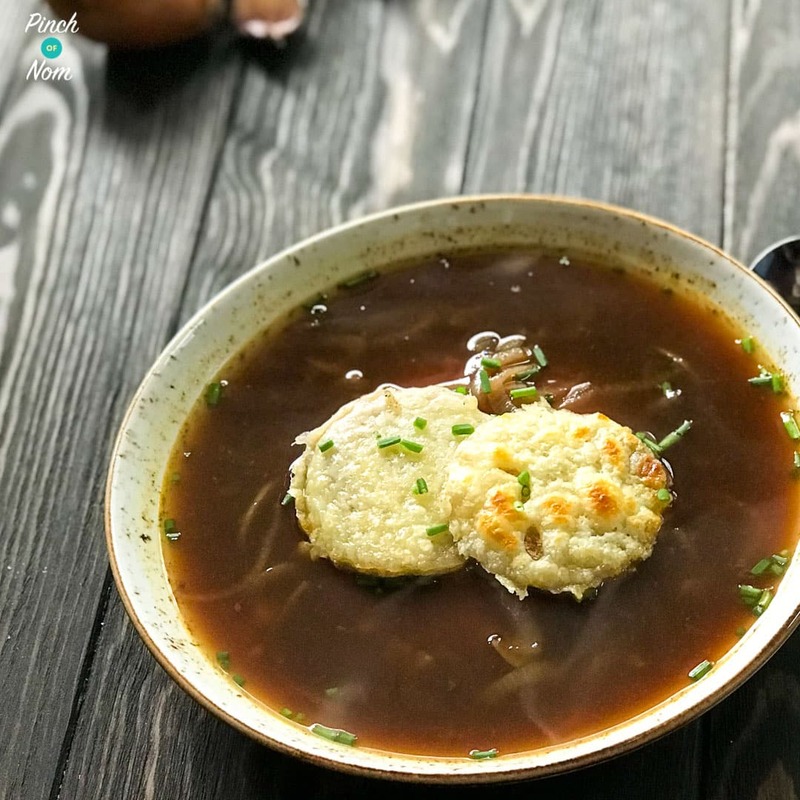 Just peel back the lid and dive in! It’s available from Ocado and costs £4.00 for a 560g pack. Kiwi Fruit is a big favourite in our house. Brilliant when sliced in a fruit salad, I also love eating a really ripe Kiwi fruit with a spoon. Kiwi fruit are Free food, rather than Speed. These Golden Kiwi fruit are yellow fleshed, sweet and juicy. They would make a colourful addition to your dessert, served with berries, yogurt, and maybe some mini meringues too? A design-your-own Eton Mess! 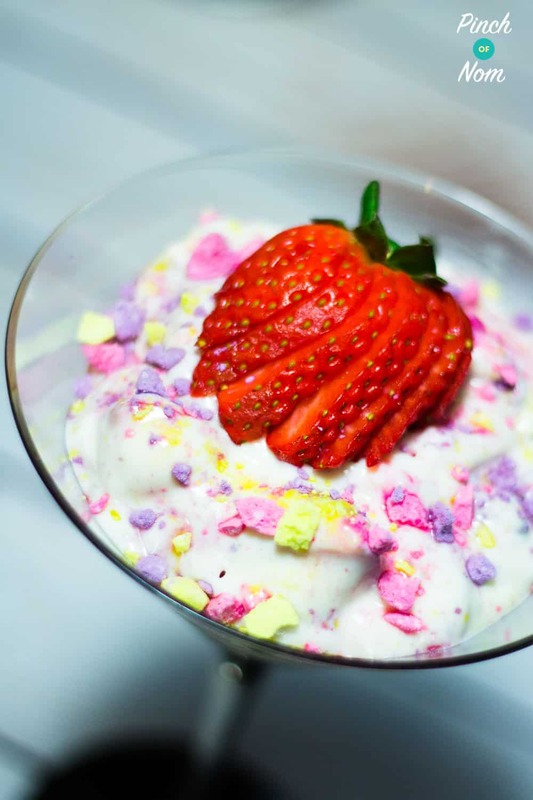 Speaking of which, we have a great recipe for Unicorn Eton Mess right here. 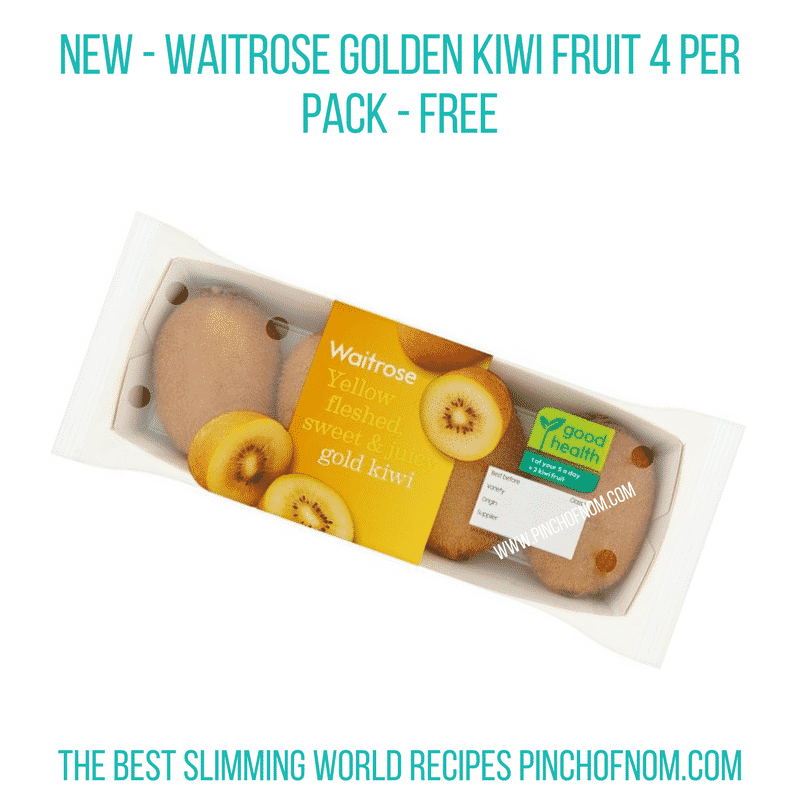 Waitrose Golden Kiwi fruit costs £2.00 for a pack of 4 fruits. They are also available on the Ocado website. To help you keep hold of the purse strings, we like to include plenty of options for Speed and Free fruit and vegetables. 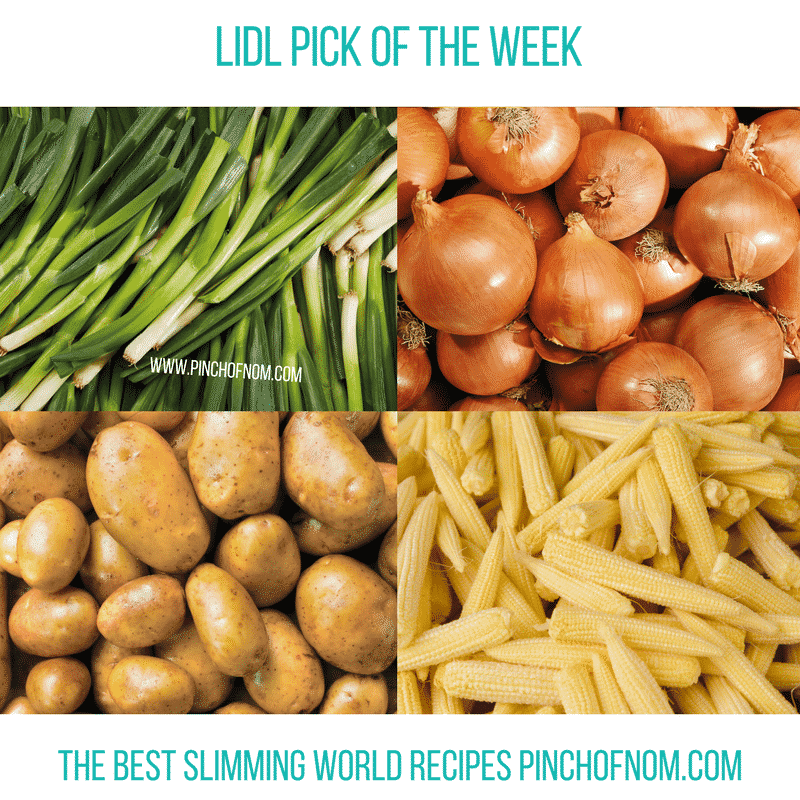 The budget supermarkets, Aldi and Lidl, are great for this, with weekly deals on selected items of fresh produce. 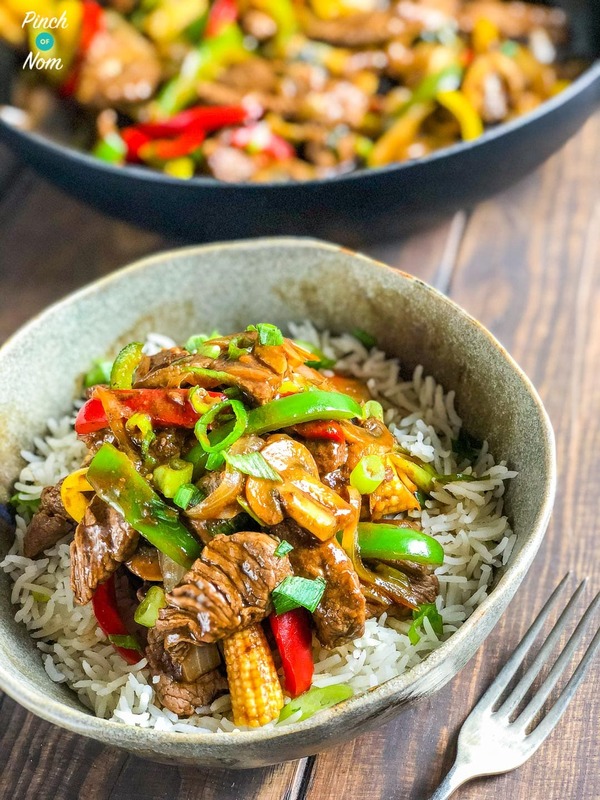 You could try making this Syn Free Stir Fried Beef with Ginger and Spring Onion. 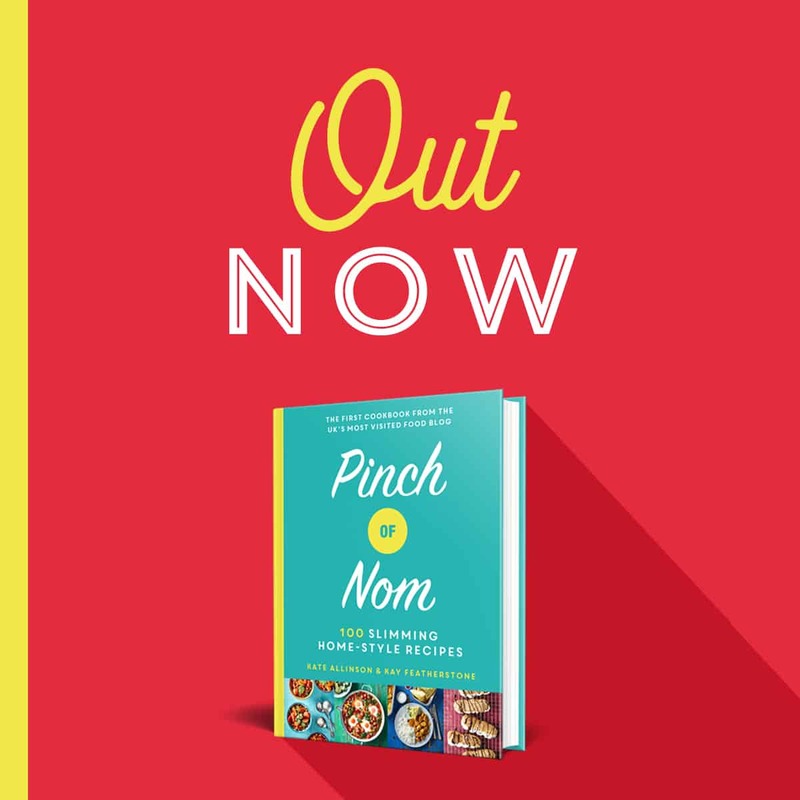 We have so many fantastic recipes on the Pinch of Nom website, just enter an ingredient in the search bar and you’ll find a recipe for it! The prices range from 39p to 69p per pack, and the offers change every Thursday. Well worth checking out if you’re passing a Lidl store. Whilst I was trawling the supermarkets this week, searching for products to include on the Shopping Essentials list, I spotted this! Birds Eye Frozen Mexican Bean Mix is ready to cook, so you can free yourself from soaking dry beans overnight or draining tins with all that gooky liquid inside! It’s a combination of Red kidney beans, Black beans & Chickpeas. 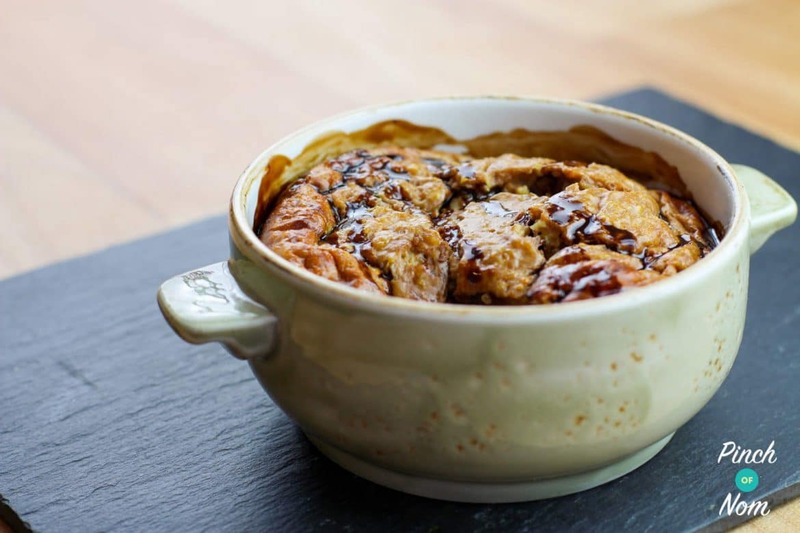 Perfect to enrich your favourite stews, chilli, casseroles and hearty soups. 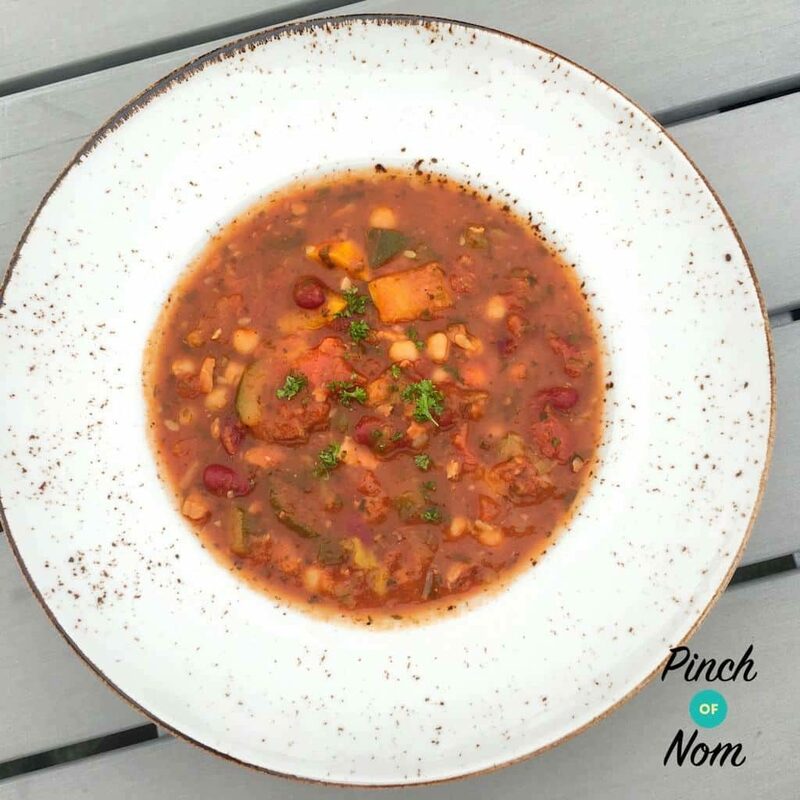 You can use it to make our Syn Free Chilli, or even our Syn Free Cajun Red Bean, Chick Pea and Tomato Soup. best of all, Red kidney Beans, Black beans and Chickpeas are all free foods and ‘P’ foods on the SW app, so packed with Protein. 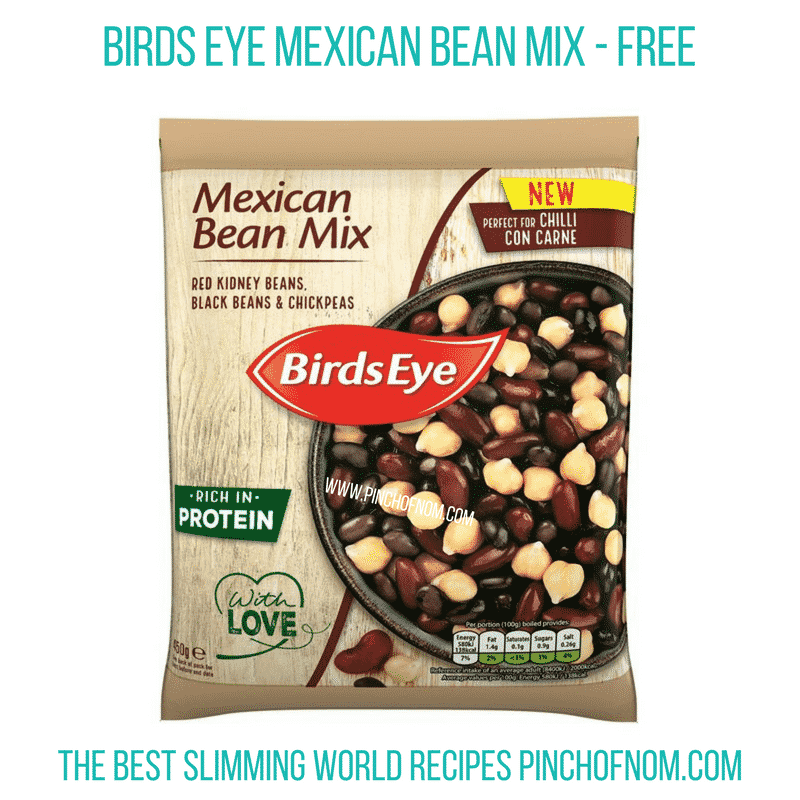 The Birds Eye Frozen Mexican Bean Mix is available from Morrisons, priced at £2.00 for a 450g bag. We tend to have good losses with fish, so we try to include a couple of fish dishes each week. 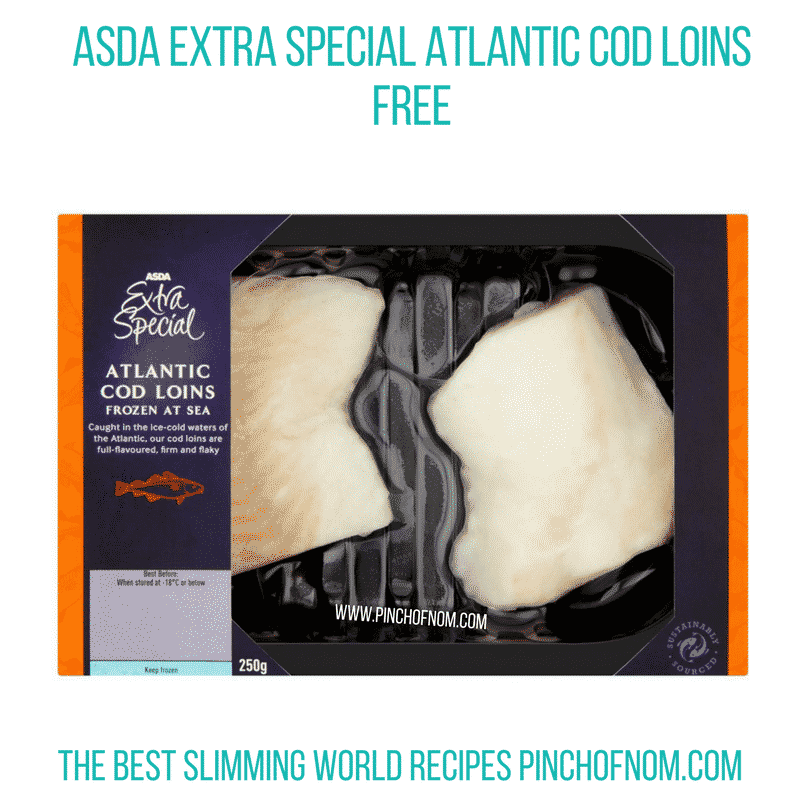 These Asda Extra Special Atlantic Cod Loins would be great to use in our Low Syn Monk Fish Bites, as you can use any firm, white fish in this recipe. 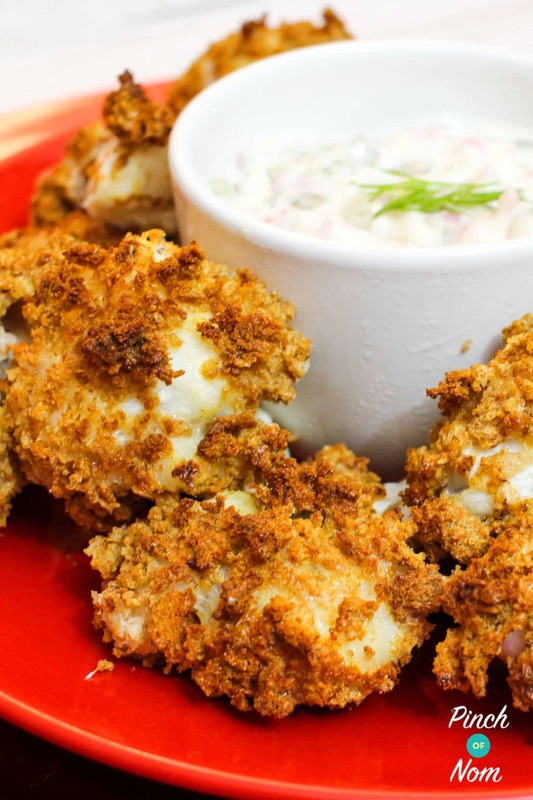 For a quick evening meal, I love to just pan fry these cod loins and serve them with SW chips and mushy peas! Cod is a protein, or ‘P’ food, too. We absolutely adore Salmon! 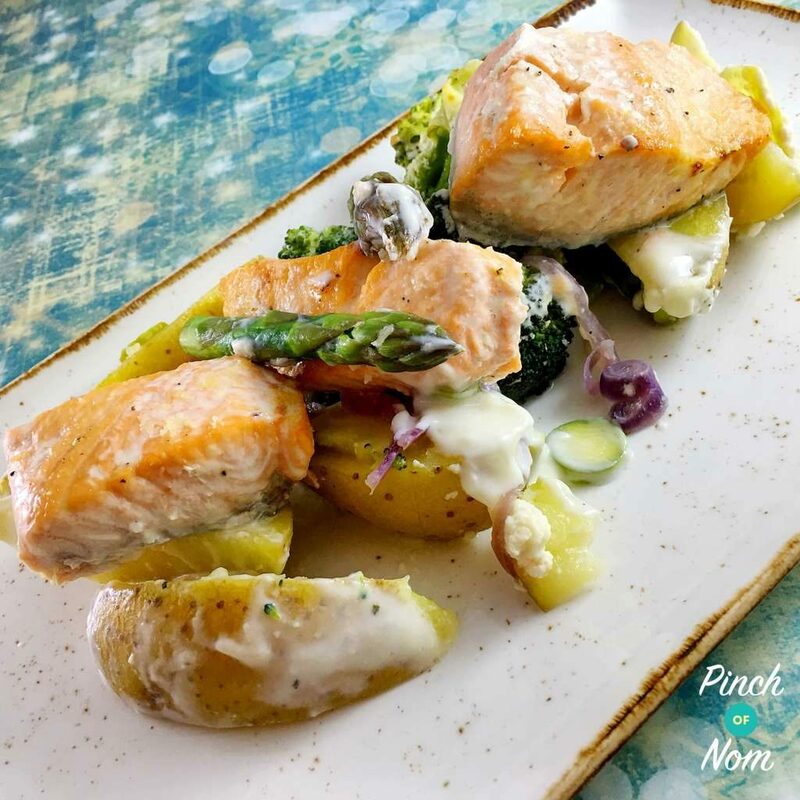 We have several fab recipes on the website, including a Low Syn Salmon, Broccoli and Potato Bake. Eating fish a really great way to ensure you’re getting plenty of protein, and you can make a satisfying meal just by adding a few simple ingredients. 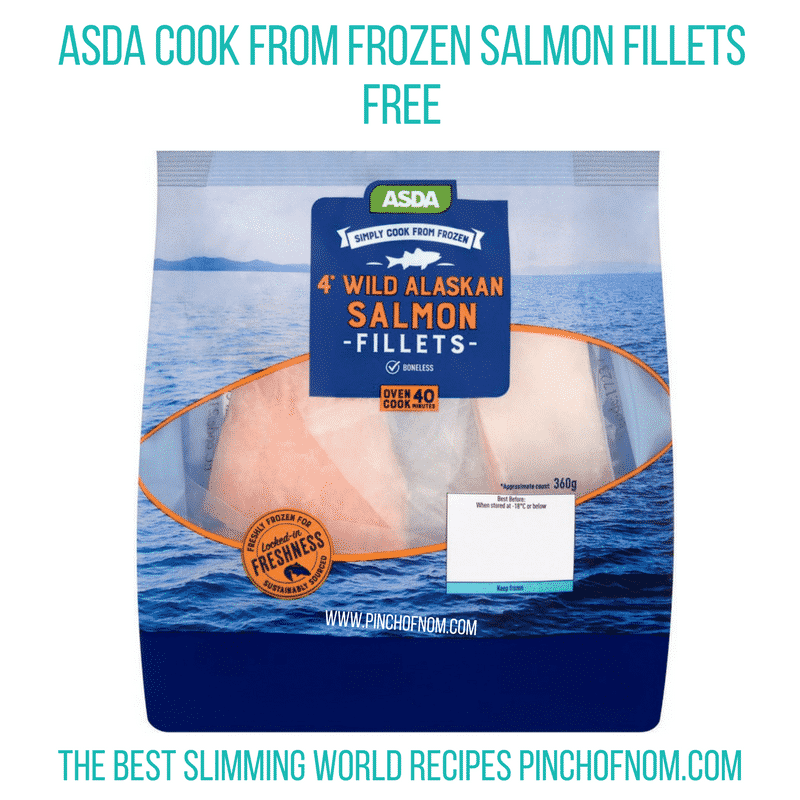 Asda now sell this pack of 4 Wild Alaskan Salmon Fillets. They’re boneless and skin on fillets. Simply oven cook from frozen in 40 minutes. Freshly frozen and sustainably sourced. 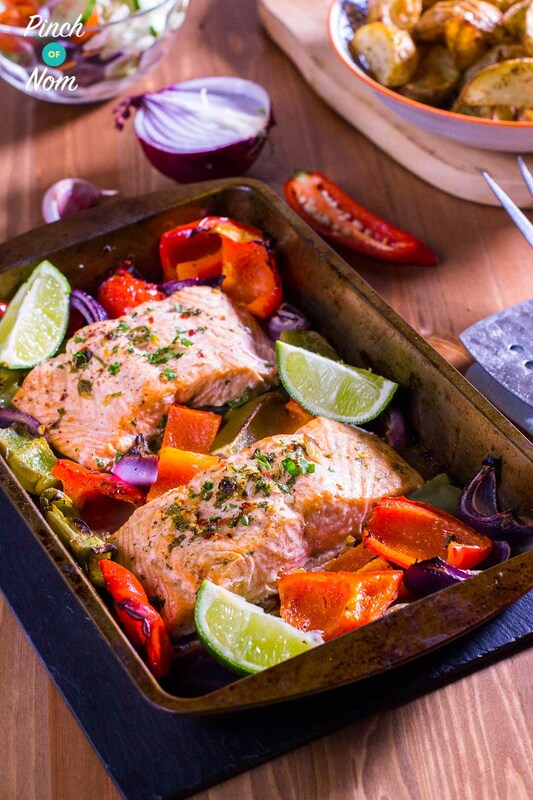 This Salmon would be perfect in our Syn Free Chilli and Lime Baked Salmon recipe. A pack of 4 Wild Alaskan Salmon Fillets costs £3.30 or 2 for £5.00 in Asda. We first featured this bacon in our Shopping Essentials list 3 weeks ago. At the time, it was about to go on sale in Marks and Spencer, but we didn’t have a price available then. This bacon was featured in the news recently. It’s manufacturing process does not involve nitrates or E-numbers, making it healthier. 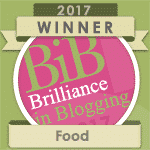 Rashers of unsmoked back bacon are Syn free on Slimming World as long as all visible fat is removed and it’s cooked in Frylight, or 1-cal spray oil. For me, nothing beats a bacon buttie at the weekend. 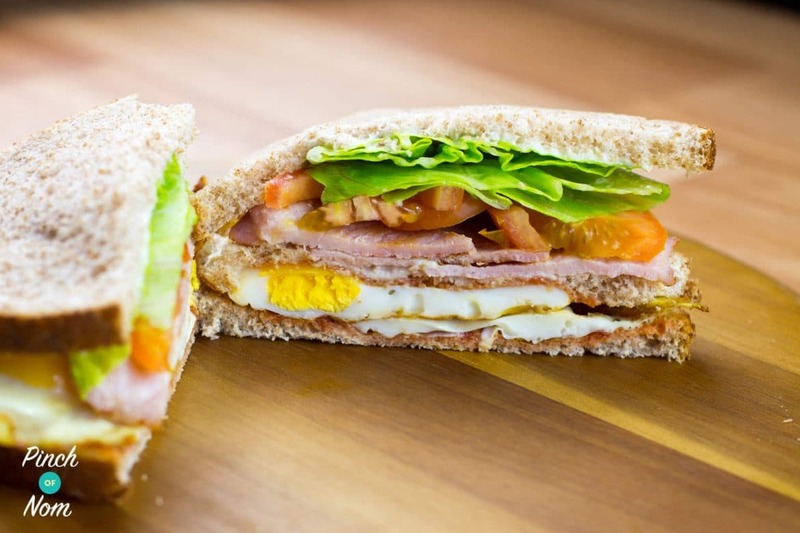 I regularly treat myself to a Perfect Low Syn BLT on a Sunday morning….it’s the best brunch EVER! 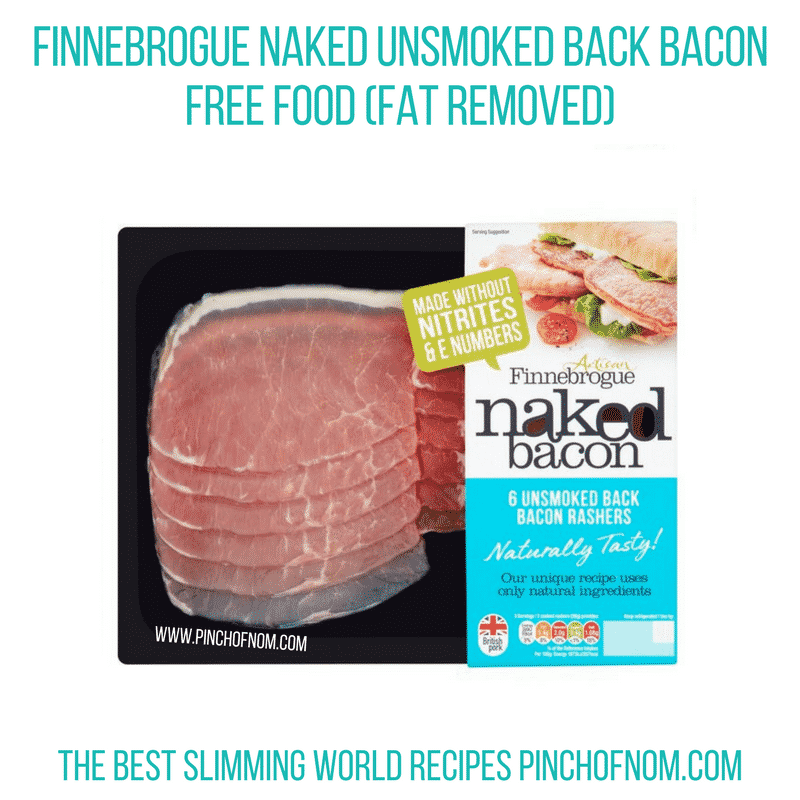 Ocado are now selling this Finnebrogue Naked Unsmoked Back Bacon too, so you can enjoy your own bacon buttie. It costs £3.49 per pack. Muller has an ever expanding range of yogurt products on the supermarket shelves these days. 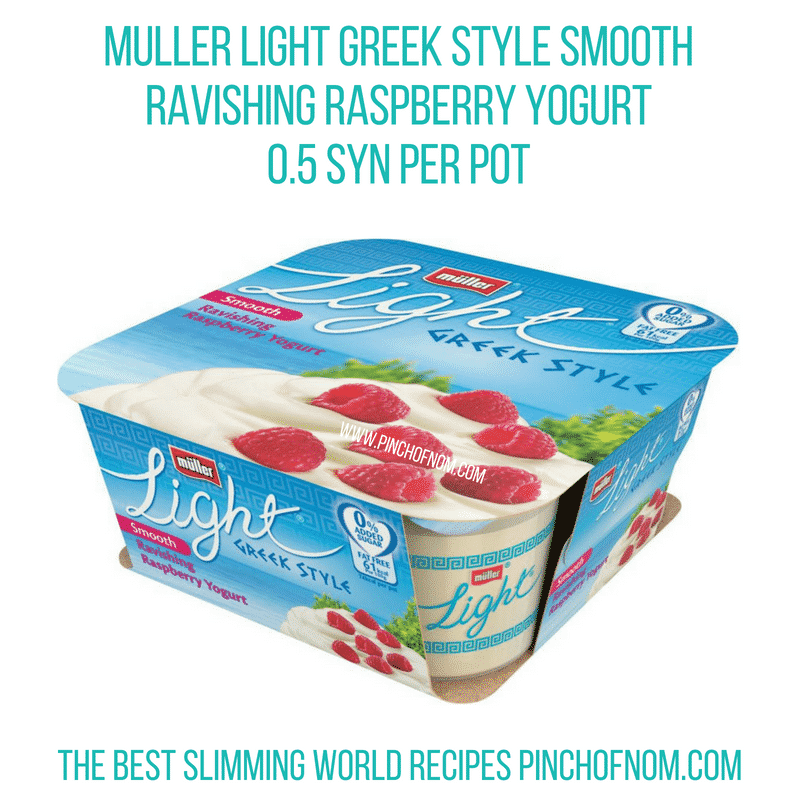 Some of them are more Slimming World friendly than others, but all flavoured yogurts carry a small Syn value. 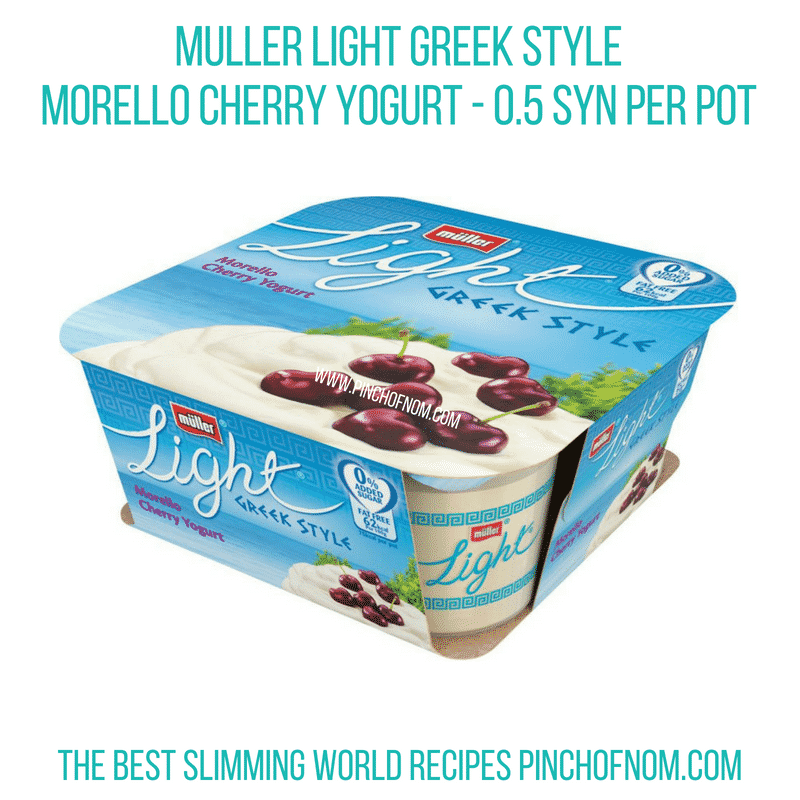 Muller Light Greek Style yogurts combine delicious, rich Greek-style yogurt with a variety of fruit flavours. The 4 pot cartons have been available in lemon, strawberry, vanilla and mango flavours since their launch, and the Sainsbury’s website have announced this week that they’re stocking 2 new flavours. They’re priced at £2.75 for 4 x 120g pots in Sainsbury’s and have a Syn value of 0.5 Syns per pot, according to recent SW guidelines. We always try to find new products that will help to curb those crisp cravings, so here’s another new idea for you! Yushoi have been producing baked snacks for a while now, and keep adding to their range with increasingly yummy temptations. 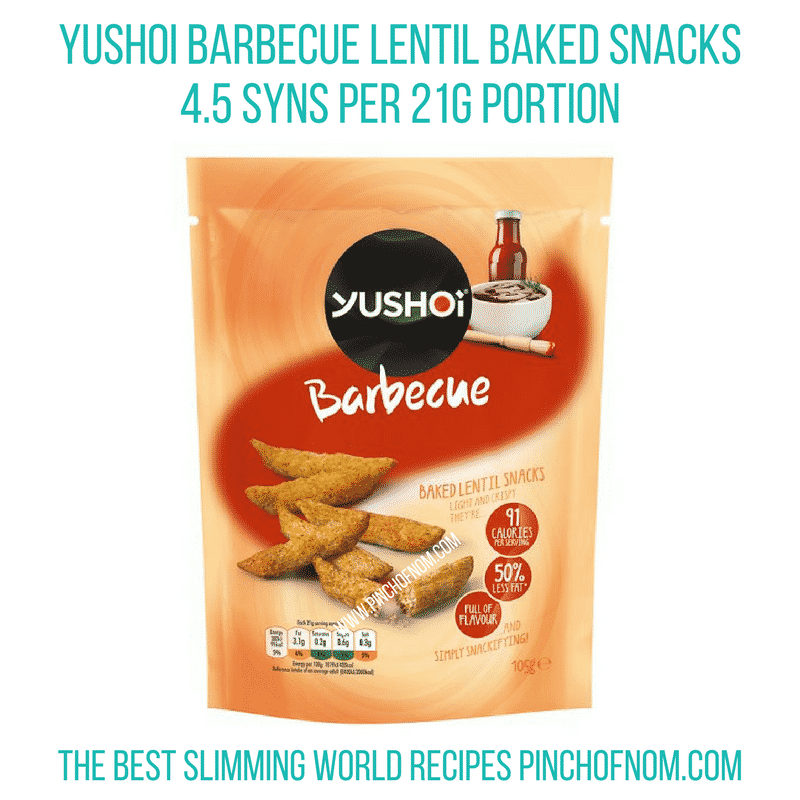 Tesco have started stocking these Yushoi Barbecue Lentil Baked Snacks. Baked Red Lentil and Rice Snacks with Barbecue Flavour Seasoning. They work out at 4.5 Syns per 21g portion, so this bag contains 5 portions. They’re available from Tesco, priced at £1.79 for a 105g bag. 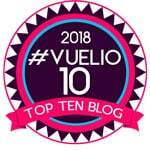 You can find them here, on the Tesco website. Marmite really is a love it or hate it food! If you love it, stay tuned! As a Marmite lover, there are a range of Marmite snacks in the shops, from Walkers Marmite Crisps and Marmite-flavoured Cashew Nuts to Marmite Flatbreads. Sadly, they’re all pretty high in Syns. I have spotted these new Marmite Rice Cakes in Morrisons and Tesco this week on my travels. They’re rich in B vitamins, less than 3% fat and 100% vegetarian, with no preservative, colours, or flavours. 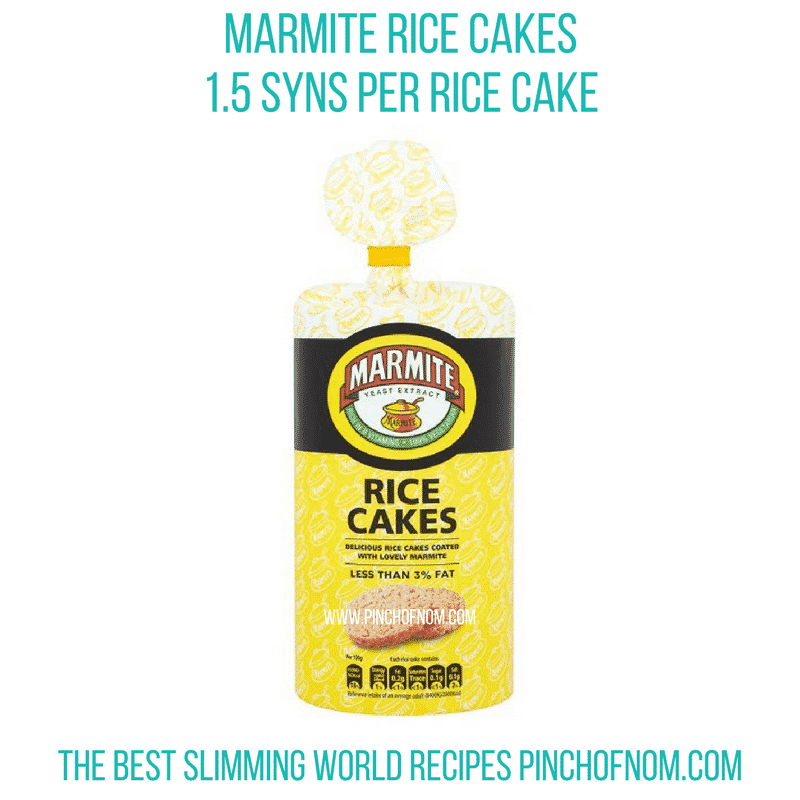 These large Marmite Rice Cakes are 1.5 Syns each on the Slimming World Syns Online app. The Marmite Rice cakes are sold in a pack of 14 rice cakes. They cost £1.25 in Tesco and you can find them here, on the Tesco Website. There’s a new kid on the HEB block! 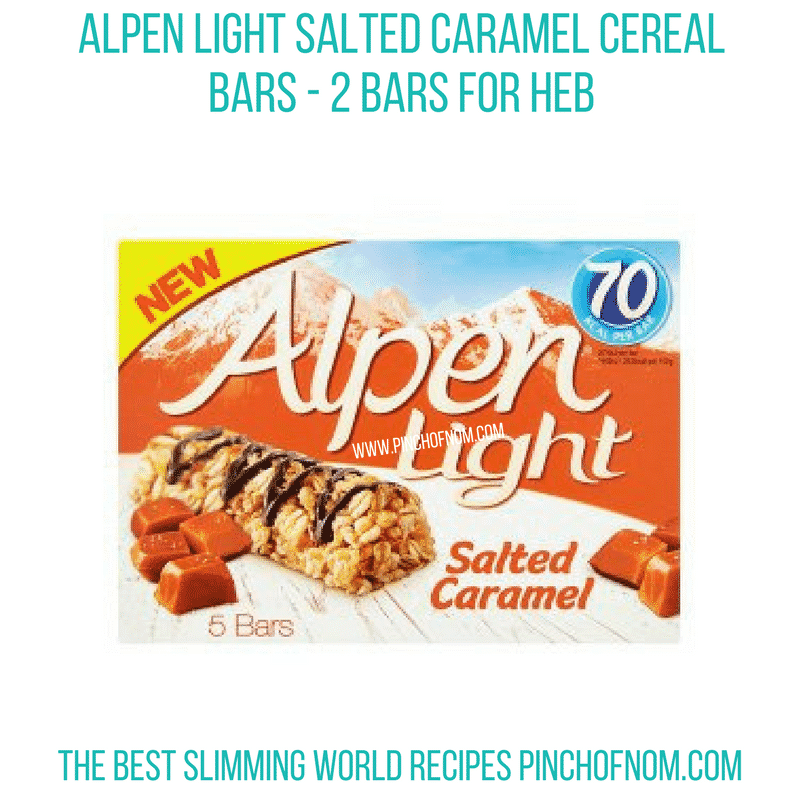 One of our wonderful moderators, Tracy, sent me a sneaky peek of these new Alpen Light Salted Caramel Cereal Bars earlier this week. I immediately sent myself on a mission to find them, as Salted Caramel is one of my favourite flavours! I tend to save my Healthy B choice for something sweet in the evening, so that I can satisfy my sweet tooth and stop sabotaging myself by raiding the biscuit tin! If I’ve remembered to pick up some Hi-Fi bars from group, I’ll tuck into a couple of Salted Caramel Hi-Fi bars with a cuppa. On the rare occasions that I forget, I’ll sometimes make myself some Low Syn Bounty Baked Oats, or if I don’t have time, I use 2 Alpen Light bars as my HEB choice. I have to say, these new Alpen Light Salted Caramel Cereal bars are pretty good! 2 bars are an HEB choice, otherwise they’re 3 Syns each. They’re available in Asda, priced at just £1.00 for a box of 5 bars. Last November we featured a new range of Nakd Cereal bars in our Shopping Essentials round up. There are some lovely flavours, Banana Bread, Coconut Twist and Berry Bliss. Now Nakd have introduced a new flavour to the range. Nakd Blueberry Muffin is bursting with blueberry flavours complimented with a crumbly muffin texture. 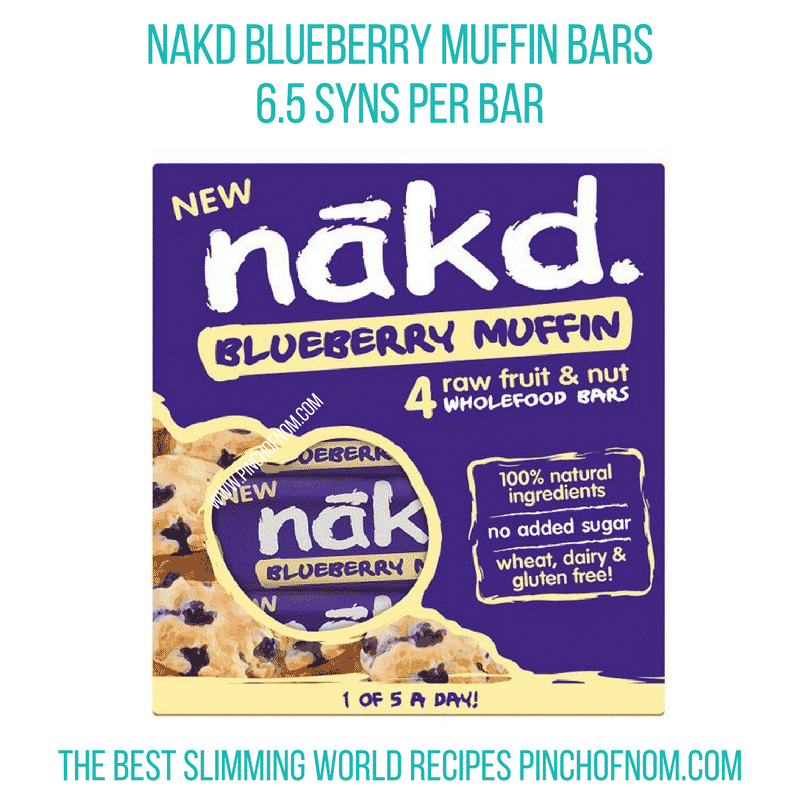 Best of all, Nakd Blueberry Muffin bars are 100% natural ingredients with no added sugar. Nakd Blueberry Muffin bars are gluten, wheat & dairy free and 100% vegan. Cold-pressed, not baked, they even provide 1 of your 5 a day. They work out at 6.5 Syns using the Syns Calculator. You can pick these up from Tesco; they cost £2.49 for a pack of 4 x 35g bars. You’ll also find them here, on the Tesco website. A couple of us in the admin team were discussing our love of Wine gums earlier this week. They are, or rather were, one of my favourite sweets. The trouble is, the Syns for Wine gums are pretty high. They’re listed on the app as 2 sweets for 2 Syns! In pre-SW days, I’d almost certainly have eaten the full bag without batting an eyelid, but these days I am more sensible! Thinking about the impact it’ll have on next week’s weigh in usually does the trick! 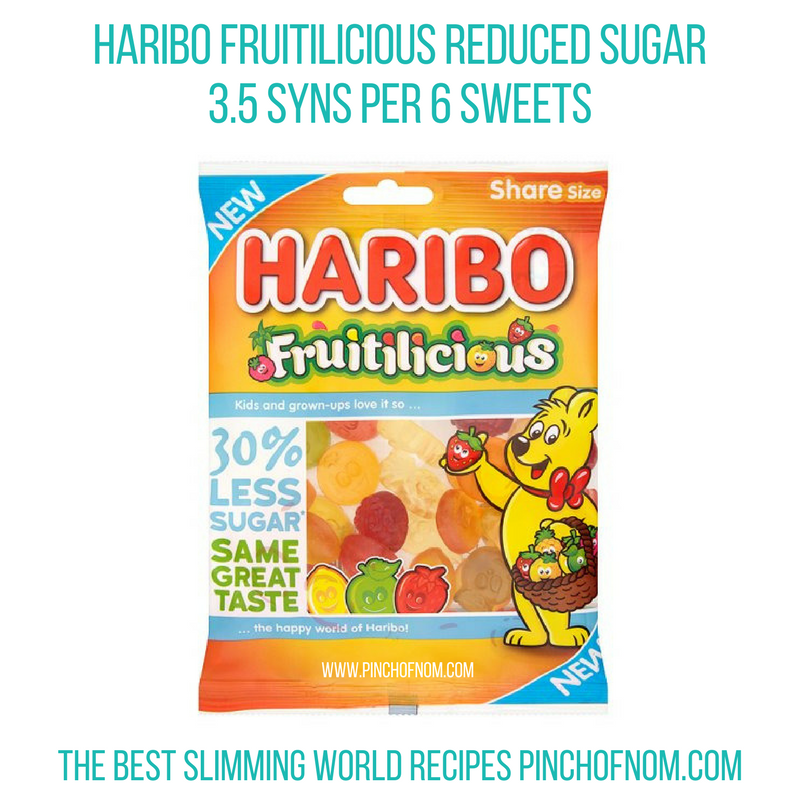 These Haribo Fruitilicious gums have 30% less sugar than regular fruit gum sweets. You get 6 sweets for 3.5 Syns, worked out using the Syns Calculator. Haribo Fruitilicious gums are available from Tesco. A 165g bag costs 97p. You can find them here, on the Tesco website.